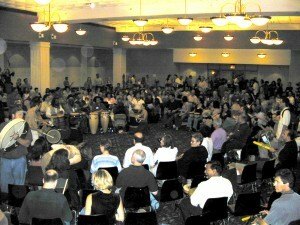 Everybody Drum has joined business individuals and companies in uniting everybody through rhythm and the arts. Our programs have been used as icebreakers, community entertainment and for therapeutic purposes. We have helped organizations develop their own programs and assisted them in securing instruments. Our programs can be as colorful as the organizations want from costuming to the interactive performance Everybody Drum offers lasting impressions on the individual and community.